Oh Be Joyful Creative’s designs are digitally printed on the Bride’s choice of solar white or natural ivory thick cover weight paper, with either a linen or eggshell finish. While there are countless beautiful paper options on the market, these are my absolute favorite when it comes to creating an exemplary product. My standard paper is of a higher quality than most invitation companies, because I believe that every bride deserves top notch. I will not put out anything that is less than perfection. Need to touch and feel? I totally get it. Quantities may be limited, depending on what it is that you want a sample of, and there may be a small $5-10 fee, which will be refunded with your order. 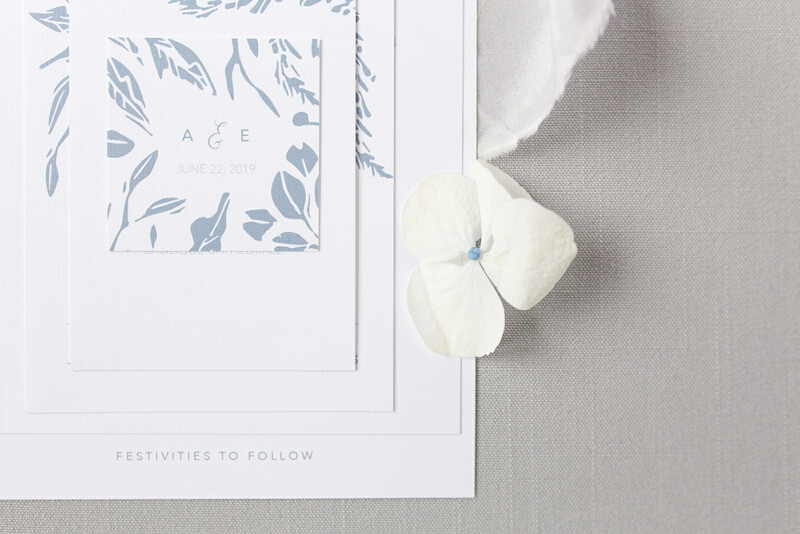 Letterpress and foil letterpress printing is also available for those brides who desire the crème de la crème when it comes to their wedding suite. I will be happy to give you a personal quote for this style of printing, should you desire it. Please note that this specialty style of printing does add an additional cost to your suite. Some of my images feature deckled edge specialty paper and envelopes, which is also available for an additional cost. I am obsessed with this stuff! I can acquire just about any type, feel, weight & color of paper and envelopes. Just ask!